In issue 143, the two flagship Mezger-engined Porsche 996s went head-to-head. Now Lee gives his verdict. Will it be Rennsport or turbocharging that wins him over? Mounted in some of the finest water-cooled Porsche 911s ever made, the venerable ‘Mezger’ engine worked its way in Zuffenhausen legend during its 13-year tenure. Unlike some Zuffenhausen icons, it did not take long for famed flat six – renowned for its razor-sharp throttle response and machine gun howl – to make its mark on Porsche’s faithful band of enthusiasts. Introduced under the decklid of the first generation Porsche 996 GT3, the Mezger was thrust firmly into the limelight, its celebrity status only enhanced by its installation in the 996 GT3 RS and the turbocharged 996 GT2. In many ways, the first water-cooled generation of Neunelfer is responsible for cementing the Mezger mythology, one of the reasons why we chose to celebrate the iconically-engined Porsche 996s in issue 143 of Total 911. Among the brace of GT3s and the hugely popular Turbo, the stars of our Porsche 996 cover shoot were undoubtedly the 996 GT3 RS and GT2, pitted head-to-head in a test of turbocharged might versus Rennsport agility. 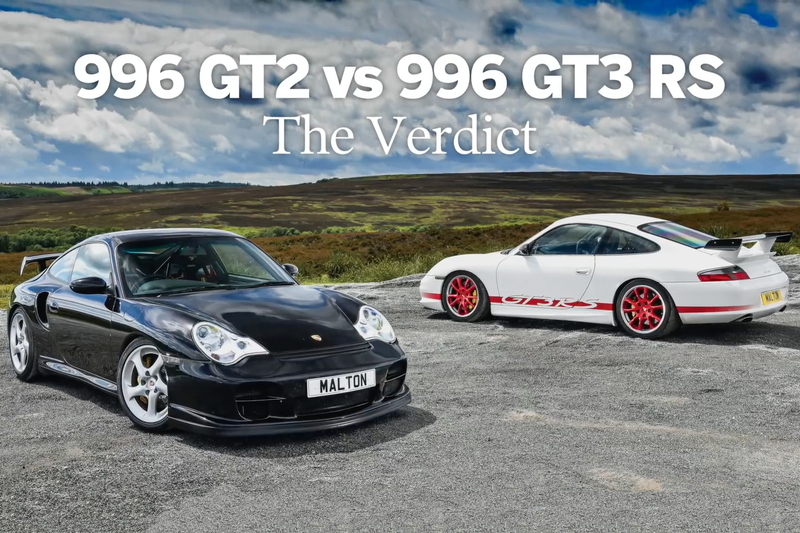 Now, in our latest video, you can watch Total 911 Editor, Lee come to a definitive verdict. Which form of Mezger will he choose? You’ll just have to watch in order to find out. For more of the best and latest Porsche films, check out our dedicated video section now. To read our ‘Best of 996’ feature, download Total 911 issue 143 straight to your digital device today.